IDC said that 27.2% of companies have already used the enterprise social networking system in Japan. According to the recent report by IDC Japan, 48% of Japanese companies would like to use the enterprise social networking system in few years. 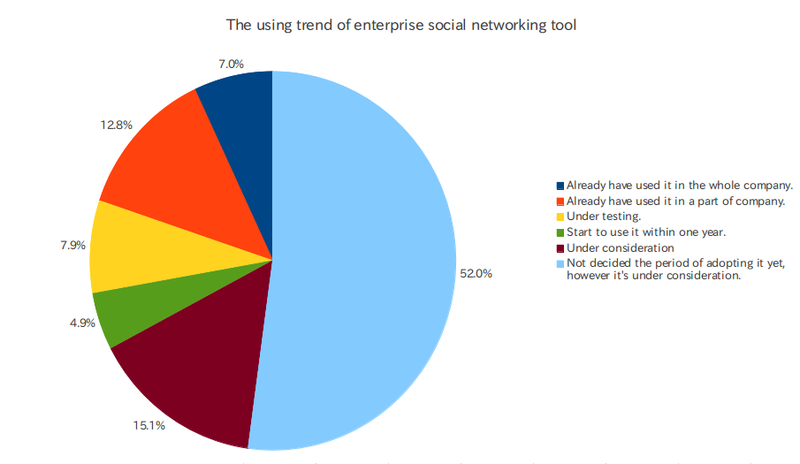 This report also said that 27.7% of Japanese company already use the enterprise social networking sytem. In Japan, TOYOTA already use the enterprise social networking system. And 8,000 employee of this company already join this system, but they would like to increase to 30,000 users in few years. This report said that the usage of email is almost 85% in Japan, but I think it may be increasing the user who use in different ways depending on several cases.